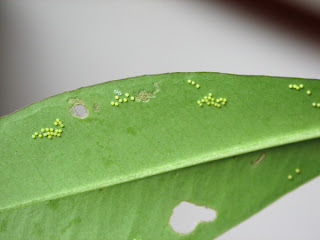 Following the eggs harvested from the adult Harlequin butterflies, members of ButterflyCircle carefully bred the caterpillars on the host plants. 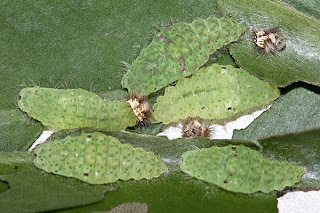 To avoid having an entire batch of caterpillars wiped out due to viruses or other unknown accidental causes, the caterpillars were divided amongst a few members to ensure a high chance of survival of the caterpillars for the next generation of the Harlequins. 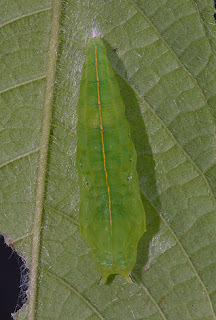 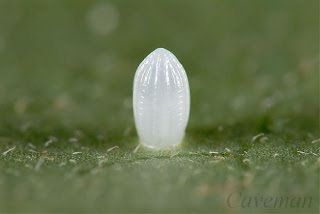 Eggs of the Harlequin on a leaf of the host plant. 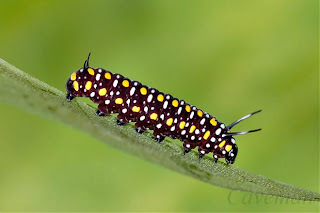 Breeding caterpillars is not an easy task, particularly for a species where the caterpillars are very small in size. 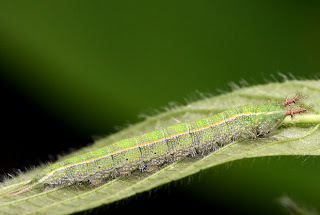 Daily cleaning of the caterpillars' enclosure is needed to ensure that droppings do not become the source for bacteria or other microscopic pathogens which may kill off the caterpillars due to disease. 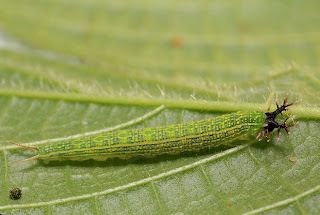 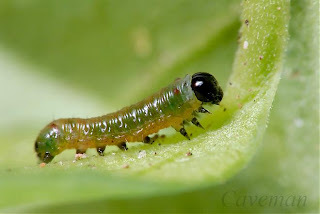 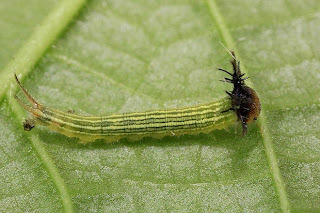 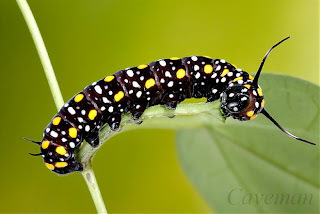 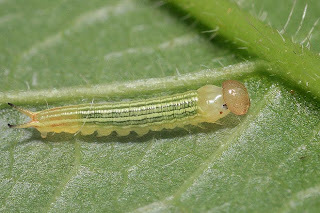 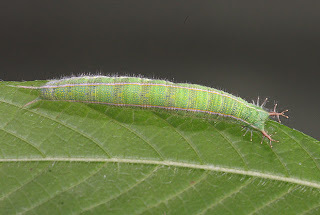 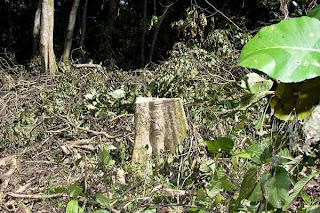 A fresh supply of leaves of the host plant must also be available so that the caterpillars do not starve to death or end up stunted due to insufficient food. 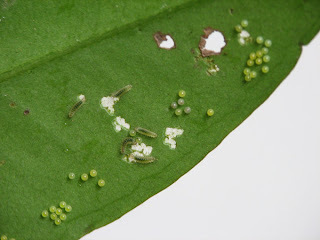 First instar Harlquin caterpillars just hatched from their eggs. 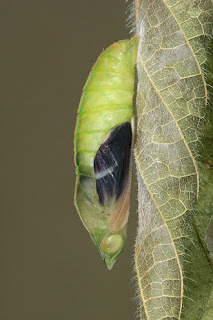 Upon hatching the caterpillars immediately consume their own eggshells as their first source of food. 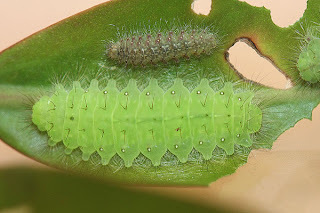 After about 17-20 days of careful care of the caterpillars by ButterflyCircle members, a batch of over 80 of the caterpillars successfully pupated. 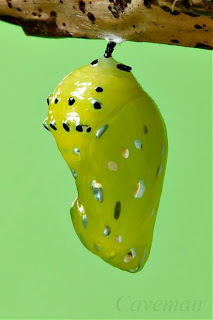 In this dormant state, the amazing process of metamorphosis takes place in the pupae. 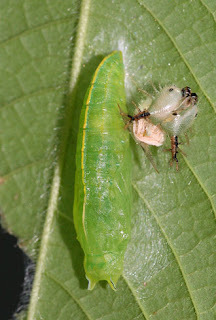 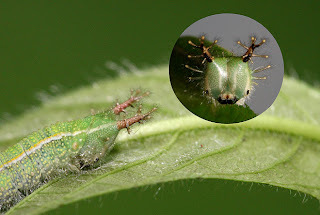 Two caterpillars of different instars feeding on a leave of the host plant. 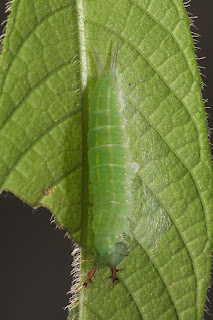 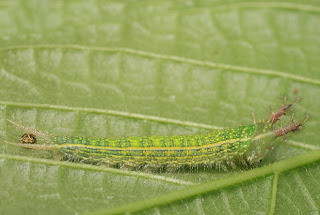 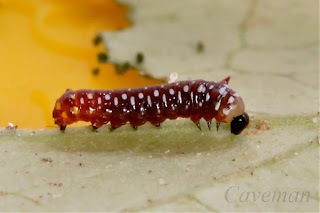 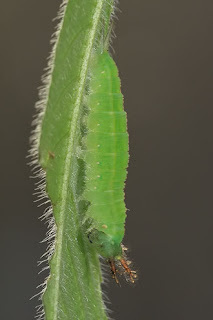 The lower caterpillar is in its 5th instar and on course for pupation. 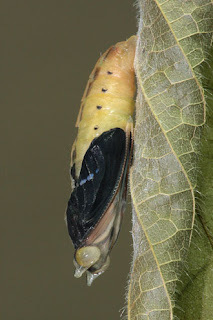 As we wait with baited breaths for the eclosion of the adult Harlequins where these individuals will hopefully form the next generation of Harlequins with which we will continue to breed and release into habitats which are similar to the one where the species was first found. 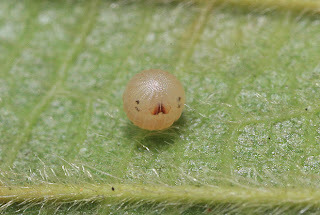 Pupae of the Harlequin. 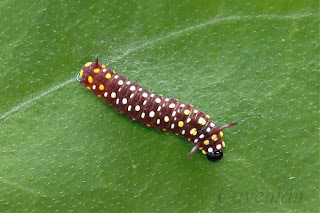 In this dormant stage, metamorphosis occurs, as the transformation from caterpillar to the adult butterfly takes place. 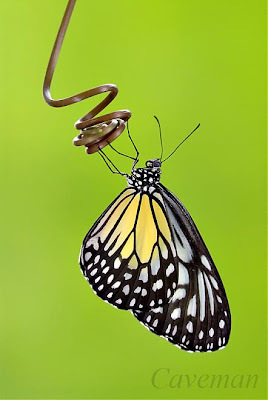 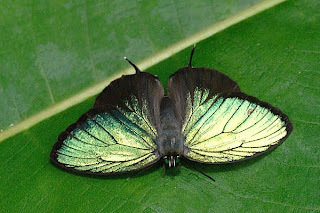 This typically takes about 7-10 days depending on the species of butterfly. 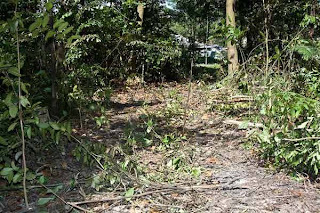 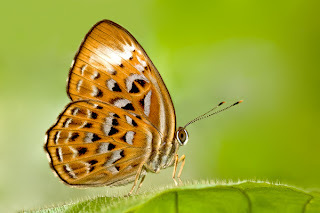 Several locations have been selected for the translocation of this species and hopefully, the species will continue to survive and thrive in their new home. 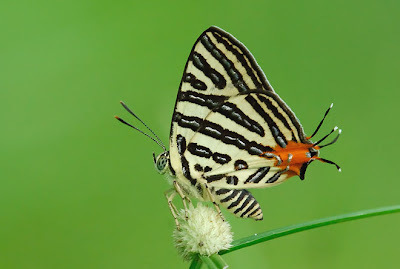 Will the Harlequin continue to survive and exist on Singapore? 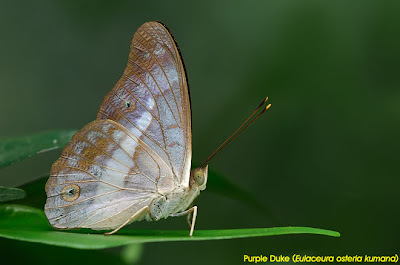 Will these next generation of butterflies bred by ButterflyCircle members survive and spawn the next generation and the next? 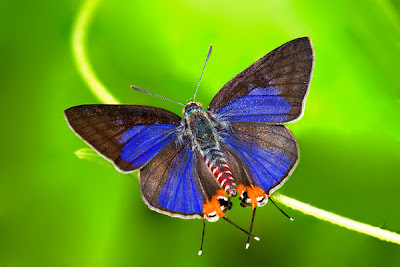 There are no guarantees in nature. 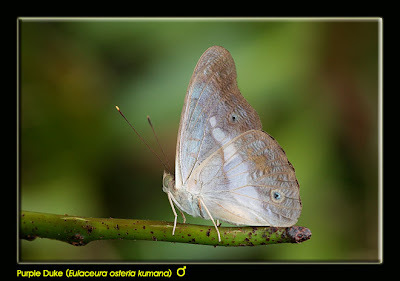 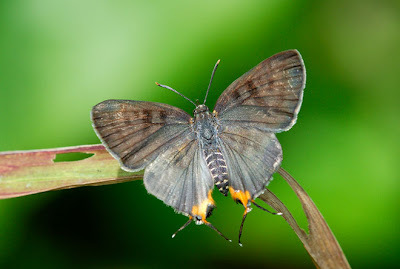 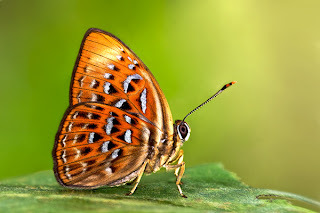 However, the effort taken in conducting this experiment to save the Harlequin from imminent extinction in Singapore as its habitat is being destroyed, is a laudable attempt by ButterflyCircle members, and we hope that we will have at least done our best to try to save a species of butterfly from extinction in Singapore, instead of sitting down and lamenting the loss of another species of our precious fauna to development.